Dragan M. Djuric (born in 1961 in Krusevac town, central part of Serbia), received his MD in 1987, MS in 1991 and PhD degree in 1993 from the Faculty of Medicine University of Belgrade. Academic positions: research assistant (1989-1991), assistant (1991-1994), assistant professor (1994-1999), associate professor (1999-2008), full professor of medical physiology at the Faculty of Medicine University of Belgrade. Postdoctoral training obtained in Germany (Max Planck Institute for Physiological and Clinical Research - Kerckhoff Heart Centre, Bad Nauheim, 1998, 2001-2002), and USA (College of Medicine, University of South Alabama, Mobile, 2000). From 1997-2000 he was head at the Centre for Atherosclerosis and Vascular Biology in the Dedinje Cardiovascular Institute, Belgrade. In period 2006-2009 he was a director, than in period 2009-2012 he was a chair of the Institute of Medical Physiology “Richard Burian” at the Faculty of Medicine University of Belgrade. He initiated and co-founded PhD program in physiological sciences (2009), and from that time he is a chairman of that program at the Belgrade University Faculty of Medicine. He initiated and co-founded the establishment of the Yugoslav Atherosclerosis Society in 1998, then he was a first secretary general (1998-2002). He was a president of the executive committee and assembly of the Serbian Physiological Society (2006-2013), president of the program and nominating committee of the Serbian Physiological Society (2013-2017), and president of the assembly of the Serbian Physiological Society (2018-2021). Dr. Djuric also had a lot of international responsibilities: 2000-present, Council Member, International Atherosclerosis Society; 2003-2013 Council Member, Federation of European Physiological Societies (FEPS); 2005-2009 Council Member, International Union of Physiological Sciences (IUPS); 2006-2014 Council Member, International Society for Pathophysiology; 2011-present, Member, Steering Committee, Global Network for Global Fight against Cardiovascular Diseases, International Academy of Cardiovascular Sciences IACS). He organized/co-organized the first Yugoslav congress on atherosclerosis (Belgrade, 2001), satellite symposium of XIV International Symposium on Atherosclerosis (IAS Belgrade, 2006), international conference on nutrition and cardiovascular health (Novi Sad, 2007), and 2nd European section meeting of the International Academy of Cardiovascular Sciences (Belgrade, 2015). He also organized/co-organized 3 congresses of physiological sciences (2005, 2009 and 2014, respectively) as well as 7 conferences and meetings of physiological sciences with international participation in Serbia including joint Serbian-Slovak and Serbian-Hungarian bilateral physiological meetings (2003, 2004, 2008, 2011, 2013, 2016, 2017, respectively). He was also organizer of the jubilee symposium on the occasion of the 90th anniversary of the founding of the Institute of Medical Physiology “Richard Burian“at Belgrade University Faculty of Medicine (2011). He organized the celebration of the 80th anniversary of the installation of a memorial plaque in the lobby of Institute of Medical Physiology, Faculty of Medicine University of Belgrade, in honour and memory to Scottish doctor Elsie Maud Inglis, which was a heroin in the First World War and leader of the famous military unit entitled “Scottish Women's Hospitals”) (2009). He serves as a member of the International Lipid Expert Panel (ILEP) and Lipid and Blood Pressure Meta-Analysis Collaboration (LBPMC) Group. He also served as a member of Homocysteine Expert Panel in Germany, and was a member of the scientific/organizing committee at the global international conference entitled “Advances and Controversies in B-Vitamins and Choline” (Leipzig 2012). Two times he served as a co-chair of the sessions at congresses of of the Federation of European Physiological Societies (FEPS) (Bratislava 2007, Budapest 2014); at FEPS congresses (Bratislava 2007, Budapest 2014) he organized thematic symposia on endothelial pathophysiology, risk factors and vasculoprotective strategy and nutrition. and also co-organized the symposium on nutrition and cardiovascular health (Budapest 2014). He held a few international grants and contracts (Kerckhoff Klinik GmbH-Bad Nauheim/Germany, Solvay Pharma-Hannover/Germany, and Pfizer GmbH-Belgrade/Serbia). He is principal investigator in national-funded grants (since 2005), and now he participates as a member of the managing committee in COST action [CA16225 RS] “Realising the therapeutic potential of novel cardioprotective therapies (EUCARDIOPROTECTION)”. He also participated as a member of the managing committee in COST action [BM1005 Biomedicine and Molecular Biosciences] “Gasotransmitters: from basic science to therapeutic applications (MC, ENOG: European Network on Gasotransmitters, 2011), COST action CM1203 Chemistry and Molecular Sciences and Technologies (CMST) “Polyoxometalate chemistry for molecular nanoscience (PoCheMoN, 2012), and in ScreenPro FH (Screening Project for Familial Hypercholesterolemia in Central, Southern and Eastern Europe, 2015). He is also serving as a member of the International Lipid Expert Panel (ILEP) from 2015. He published more than 700 different kinds of publications in English, German, Russian and Serbian language, with 112 full-length papers in peer-reviewed journals indexed in JCR (CC/SCI/SCIe) plus 15 papers indexed only in PubMed, and 30 chapters in books/monographs. Dr. Djuric also wrote or edited 4 monographs about endothelium, atherosclerosis and nutrition, and edited/co-edited 12 books of abstracts from scientific meetings. His research interests include studies on the roles/effects of different compounds in cardiovascular system, ie. histamine, homocysteine and its thiolactone metabolites, other sulphur-containing acids (methionine, cysteine, N-acetyl-L-cysteine), folic acid, vitamin B6, L-arginine, vitamin C, then gasotransmitters (NO, H2S, CO), oxidative stress, cardiovascular prevention, exercise, novel cardiovascular and cancer biomarkers, NMDA receptors in cardiac and neural hyperexcitability, cardiac failure diabetes mellitus, nutrition and nutraceuticals. He was cited more than 1000 times (ResearchGate), and was invited for presenting the lectures 70 times in Serbia as well as 38 times abroad at different foreign institutions and international meetings (citations 529 times according to Web of Science with self citation excluded, H-index 14, on January 2018). He was a co-editor of the translation to Serbian language of the whole edition of the Textbook of Medical Physiology by Guyton AC and Hall JE in 2008 (Saunders 11th ed. ), co-editor of the chapter translation of the Ganong's Review of Medical Physiology by Barrett KE, Barman SM, Boitano S, Brooks HL in 2015 (McGraw-Hill/Lange Basic Science 24 ed.) as well as editor/co-editor of 4 textbooks and demonstration manual in the field of medical physiology in Serbian language. He was serving on editorial boards of Canadian Journal of Physiology and Pharmacology, Molecular and Cellular Biochemistry, Acta Physiologica Hungarica, Experimental and Clinical Cardiology, Pathophysiology, Mediterranean Journal of Nutrition and Metabolism, Medical Science Monitor Basic Research, Curent Research: Cardiology, Serbian Journal for Experimental and Clinical Research, Archives of Medical Sciences - Atherosclerosis Diseases, and a member of editorial board of CV Network (global bulletin of the International Academy of Cardiovascular Sciences) in period 2007-2015. He was reviewer many times in international and domestic scientific journals, and guest editor in a few special issues, ie. 2006 - Acta Physiologica Hungarica; 2008 and 2016 - Canadian Journal of Physiology and Pharmacology; 2009 - General Physiology and Biophysics; 2012 - Medicinal Chemistry, and in 2017 – Current Medicinal Chemistry. He was abstract grader at large international meetings, reviewer on different grant’s proposals (Serbia, Poland, Hungary), foreign member of dissertation committee (Slovakia), proposer for the position of full professorship in the field of physiology and pathophysiology (Romania), and proposer for prestigious fellowships in Germany, Canada and USA. Professor Dr. Dragan M. Djuric was elected as a fellow of the International Academy of Cardiovascular Sciences (2011). He was awarded with Serbian Physiological Society Award for Lifetime Achievement in Physiological Sciences (2016), Lifetime Achievement Award in Cardiovascular Science, Medicine and Surgery by the International Academy of Cardiovascular Sciences (2015), Samuel Racz Medal and Honorary member for the contribution in physiology from the Hungarian Physiological Society (2010), Honorary member of the Bulgarian Society for Cell Biology (2009), Honorary member of the Romanian Society for Laboratory Medicine (2008), Medal of the Yugoslav Society of Cardiology (2002), and Belgrade City October Award (1987). FULL LENGTH PAPERS PUBLISHED IN JOURNALS INDEXED IN CURRENT CONTENTS, SCIENCE CITATION INDEX OR SCIENCE CITATION INDEX EXPANDED 1. Jeremic J, Nikolic Turnic T, Zivkovic V, Jeremic N, Milosavljevic I, Srejovic I, Obrenovic R, Jancic S, Rakocevic M, Matic S, Djuric D, Jakovljevic V. Vitamin b complex mitigates cardiac dysfunction in high-methionine diet-induced hyperhomocysteinemia. Clin Exp Pharmacol Physiol. 2018 Mar 6. doi: 10.1111/1440-1681.12930. [Epub ahead of print] 2. Stojanović M, Todorović D, Šćepanović L, Mitrović D, Borozan S, Dragutinović V, Labudović-Borović M, Krstić D, Čolović M, Djuric D. Subchronic methionine load induces oxidative stress and provokes biochemical and histological changes in the rat liver tissue. Mol Cell Biochem. 2018 Feb 8. doi: 10.1007/s11010-018-3311-2. [Epub ahead of print] 3. Plecevic S, Jakovljevic B, Savic M, Zivkovic V, Nikolic T, Jeremic J, Milosavljevic I, Srejovic I, Tasic N, Djuric D, Jakovljevic V. Comparison of short-term and medium-term swimming training on cardiodynamics and coronary flow in high salt-induced hypertensive and normotensive rats. Mol Cell Biochem. 2018 Jan 27. doi: 10.1007/s11010-018-3291-2. [Epub ahead of print] 4. Stevanovic J, Zivkovic V, Bolevich S, Zaric G, Cekerevac I, Djuric D, Jakovljevic V, Nikolic T, Djuric D. (2017) Effects of selective phosphodiesterase-2 and phosphodiesterase-3 inhibition on coronary flow and oxidative stress in the isolated rat heart. Acta Poloniae Pharmaceutica - Drug Research, vol. 74, no. 6, pp. 1691n1698, ISSN 0001-6837. 5. Uzelac JJ, Stanić M, Krstić D, Čolović M, Djurić D. Effects of homocysteine and its related compounds on oxygen consumption of the rat heart tissue homogenate: the role of different gasotransmitters. Mol Cell Biochem. 2017 Nov 29. doi: 10.1007/s11010-017-3238-z. [Epub ahead of print] 6. Kornjača D, Živković V, Krstić D, Čolović M, Đurić M, Stanković S, Mutavdžin S, Jakovljević V, Đurić D. (2018) The effects of acute hyperhomocysteinemia induced by DL-homocysteine or DL-homocysteine thiolactone on serum biochemical parameters, plasma antioxidant enzyme and cardiac acetylcholinesterase activities in the rat. Archives of Biological Sciences, 2018 OnLine-First (00):41-41, doi.org/10.2298/ABS170731041K 7. Milovanovic P, Hrncic D, Radotic K, Stankovic M, Mutavdzic D, Djonic D, Rasic-Markovic A, Djuric D, Stanojlovic O, Djuric M. (2017) Moderate hyperhomocysteinemia induced by short-term dietary methionine overload alters bone microarchitecture and collagen features during growth. Life Sci. 2017 Dec 15; 191:9-16. doi: 10.1016/j.lfs.2017.10.008. 8. Stojanovic M, Scepanovic Lj, Todorovic D, Mitrovic D, Scepanovic V, Scepanovic R, Ilic S, Scepanovic T, Labudovic Borovic M, Milicevic Z, Dragutinovic V, Borozan S, Lalic I, Sanja Despotovic S, Djuric D (2018). Suppression of methionine-induced colon injury of young rats by cysteine and N-acetyl-L-cysteine. Mol Cell Biochem. 440(1-2):53-64. doi: 10.1007/s11010-017-3155-1. 9. Cicero AFG, Colletti A, Bajraktari G , Descamps O, Djuric DM, Ezhov M, Fras Z, Katsiki N, Langlois M, Latkovskis G, Panagiotakos DB, Paragh G, Mikhailidis DP, Mitchenko O, Paulweber B, Pella D, Pitsavos C, Reiner Z, Ray KK, Rizzo M, Sahebkar A, Serban MC, Sperling LS, Toth PP, Vinereanu D, Vrablík M, Wong ND, Banach M *on behalf of the International Lipid Expert Panel (ILEP). (2017) Lipid lowering nutraceuticals in clinical practice: position paper from an International Lipid Expert Panel (2017) Nutrition Reviews, 75 (9): 731–767, nux047, https://doi.org/10.1093/nutrit/nux047. (The article has been co-published with permission in Archives of Medical Science and Nutrition Reviews). 10. Cicero AFG, Colletti A, Bajraktari G , Descamps O, Djuric DM, Ezhov M, Fras Z, Katsiki N, Langlois M, Latkovskis G, Panagiotakos DB, Paragh G, Mikhailidis DP, Mitchenko O, Paulweber B, Pella D, Pitsavos C, Reiner Z, Ray KK, Rizzo M, Sahebkar A, Serban MC, Sperling LS, Toth PP, Vinereanu D, Vrablík M, Wong ND, Banach M *on behalf of the International Lipid Expert Panel (ILEP). Lipid lowering nutraceuticals in clinical practice: position paper from an International Lipid Expert Panel (2017) Archives of Medical Science 13(5):966–1005, doi: 10.5114/aoms.2017.69326. (The article has been co-published with permission in Archives of Medical Science and Nutrition Reviews). 11. Stojic IM, Zivkovic VI, Srejovic IM, Nikolic TR, Jeremic NS, Jeremic JN, Djuric DM, Jovicic N, Radonjic KG, Bugarcic ZD, Jakovljevic VLJ, Novokmet SS. Cisplatin and cisplatin analogues perfusion through isolated rat heart: the effects of acute application on oxidative stress biomarkers. Mol Cell Biochem. 2018 Feb;439(1-2):19-33. doi: 10.1007/s11010-017-3132-8. 12. Srejovic IM, Zivkovic VI, Nikolic TR, Jeremic N Jeremic, Stojic I, Jeremic J, Djuric D, Jakovljevic V. Modulation of N-methyl-D-aspartate receptors in isolated rat heart. Can J Physiol Pharmacol. 2017 Nov;95(11):1327-1334. doi: 10.1139/cjpp-2017-0056. 13. Rosic G, Joksimovic J, Selakovic D, Jakovljevic V, Zivkovic V, Srejovic I, Djuric M, Djuric D. The beneficial effects of sulfur-containing amino acids on cisplatin-induced cardiotoxicity and neurotoxicity in rodents. Curr Med Chem. 2018 Jan 30;25(3):391-403. doi: 10.2174/0929867324666170705114456. 14. Hrncic D, Rasic-Markovic A, Macut D, Mladenovic D, Susic V, Djuric D, Stanojlovic O. Sulfur - Containing Amino Acids in Seizures: Current State of the Art. Curr Med Chem. 2018 Jan 30;25(3):378-390. doi: 10.2174/0929867324666170609090613. 15. Čolović MB, Vasić VM, Djuric DM, Krstić DZ. Sulphur-containing amino acids: protective role against free radicals and heavy metals. Curr Med Chem. 2018 Jan 30;25(3):324-335. doi: 10.2174/0929867324666170609075434. 16. Nikolic T, Zivkovic V, Srejovic I, Stojic I, Jeremic N, Jeremic J, Radonjic K, Stankovic S, Obrenovic R, Djuric D, Jakovljevic V (2017) The effects of atorvastatin and simvastatin on oxidative stress in diet-induced hyperhomocisteinemia in wistar albino rats: a comparative study. Mol Cell Biochem. 2018 Jan;437(1-2):109-118. doi: 10.1007/s11010-017-3099-5. 17. Stojanović M, Šćepanović Lj, Mitrović D, Šćepanović V, Šćepanović R, Djuric M, Ilić S, Šćepanović T, Djuric D. (2017) Different pathways involved in stimulatory effects of homocysteine on rat duodenal smooth muscle. Acta Veterinaria 67 (2), 254-270, doi: 10.1515/acve-2017-0021 18. Stojic I, Srejovic I, Zivkovic V, Jeremic N, Djuric M, Stevanovic A, Milanovic T, Djuric D, Jakovljevic V. (2017) The effects of verapamil and its combinations with glutamate and glycine on cardiodynamics, coronary flow and oxidative stress in isolated rat heart. J Physiol Biochem. 73: 141-153. doi: 10.1007/s13105-016-0534-0 19. Stojanovic M, Zivkovic V, Srejovic I, Jakovljevic V, Jeremic N, Djuric D. (2016) The role of hydrogen sulfide in homocysteine-induced cardiodynamic effects and oxidative stress markers in the isolated rat heart. Physiology International (Acta Physiologica Hungarica), vol. 103 (4), 428-438. doi: 10.1556/2060.103.2016.4.3 20. Rasic-Markovic A, Hrncic D, Krstić D, Colovic M, Djuric E, Rankov-Petrović B, Susic V, Stanojlovic O, Djuric D. The effect of subchronic supplementation with folic acid and L-arginine on homocysteine induced seizures. Can J Physiol Pharmacol. 2016 Oct;94(10):1083-1089. 21. Hrncic D, Mikić J, Rasic-Markovic A, Velimirović M, Stojković T, Obrenović R, Rankov-Petrović B, Susic V, Djuric D, Petronijević N, Stanojlovic O. Anxiety-related behavior in hyperhomocysteinemia induced by methionine nutritional overload in rats: role of the brain oxidative stress. Can J Physiol Pharmacol. 2016 Oct;94(10):1074-1082. 22. Nikolic T, Zivkovic V, Srejovic I, Radovanovic D, Jeremic N, Jevdjevic M, Djuric D, Jakovljevic V. Acute effects of nandrolone decanoate on cardiodynamic parameters in isolated rat heart. Can J Physiol Pharmacol. 2016 Oct;94(10):1048-1057. 23. Vasiljevic D, Veselinovic M, Jovanovic M, Jeremic N, Arsic A, Vucic V, Lucic-Tomic A, Zivanovic S, Djuric D, Jakovljevic V. (2016) Evaluation of the effects of different supplementation on oxidative status in patients with rheumatoid arthritis. Clin Rheumatol. 35(8):1909-15. 24. Stojanović M, Šćepanović Lj, Bosnić O , Mitrović D, Jozanov Stankov O , Šćepanović V, Šćepanović R , Stojanović T , Ilić S , Djurić D. (2016) Effects of acute administration of D, L - homocysteine thiolactone on the antioxidative status of rat intestine and liver. Acta Veterinaria-Beograd 66 (1), 26-36. 25. Nikolic T, Zivkovic V, Jevdjevic M, Djuric M, Srejovic I, Djuric D, Jeremic N, Djuric D, Bolevich S, Jakovljevic V. (2016) The effects of chronic administration of nandrolone decanoate on redox status in exercised rats. Mol Cell Biochem. 411(1-2):95-105. 26. Arsic A, Vucic V, Glibetic M, Popovic T, Debeljak-Martacic J, Cubrilo D, Ahmetovic Z, Peric D, Borozan S, Djuric D, Barudzic N, Jakovljevic V. (2016) Redox balance in elite female athletes: differences based on sport types. J Sports Med Phys Fitness. 56(1-2):1-8. 27. Milicic V, Zivkovic V, Jeremic N, Arsenijevic N, Djuric D, Jakovljevic VL. (2016) Coronary flow and oxidative stress during local anaphylactic reaction in isolated mice heart: the role of nitric oxide (NO). Mol Cell Biochem. 412: 221-227. 28. Tasić N, Tasić D, Otašević P, Veselinović M, Jakovljević V, Djurić D, Radak Dj. (2015) Copper and zinc concentrations in atherosclerotic plaque and serum in relation to lipid metabolism in patients with carotid atherosclerosis. Vojnosanit Pregl. 72(9):801-6. 29. Mladenović D, Petronijević N, Stojković T, Velimirović M, Jevtić G, Hrnčić D, Radosavljević T, Rašić-Marković A, Maksić N, Djuric D, Stanojlović O. (2015) Finasteride Has Regionally Different Effects on Brain Oxidative Stress and Acetylcholinesterase Activity in Acute Thioacetamide-Induced Hepatic Encephalopathy in Rats. PLoS One. 10(8):e0134434. 30. Stojanovic Tosic JT, Jakovljevic VL, Zivkovic VV, Srejovic IM, Valdevit ZJ, Radovanovic DS, Djuric DM, Ahmetovic ZK, Peric DB, Cankovic MB, Jovanovic MS, Djordjevic DZ. (2015) Biphasic response of cardiodynamic adaptations to swimming exercise in rats. Gen Physiol Biophys. 30;34:301-10. 31. Jeremic N, Petkovic A, Srejovic I, Zivkovic V, Djuric D, Jakovljevic V. (2015) Effects of ischemia and omeprazole preconditioning on functional recovery of isolated rat heart. Rev Bras Cir Cardiovasc 30(2):266-75. 32. Misic MM, Jakovljevic VL, Bugarcic ZD, Zivkovic VI, Srejovic IM, Barudzic NS, Djuric DM, Novokmet SS. (2015) Platinum Complexes-Induced Cardiotoxicity of Isolated, Perfused Rat Heart: Comparison of Pt(II) and Pt(IV) Analogues Versus Cisplatin. Cardiovasc Toxicol 15(3):261-8. 33. Pesic S, Milinkovic M, Vuletic M, Barudzic N, Zivkovic V, Jakovljevic V, Djuric D, Stojimirovic B. (2015) Assessment of Oxidative Status in Patients with Acute Kidney Injury: A Pilot Study. Chin J Physiol 30;58(2):124-33. 34. Rasic-Markovic A, Rankov-Petrovic B, Hrncic D, Krstic D, Colovic M, Macut Dj, Djuric D, Stanojlovic O. (2015) The effect of subchronic supplementation with folic acid on homocysteine induced seizures. Acta Physiol Hung. 102(2):151-62. 35. Tasic NM, Tasic D, Veselinovic M, Jakovljevic V, Djuric D, Radak D. (2015) Iron concentrations in atherosclerotic plaque and serum in patients with carotid atherosclerosis. Acta Physiol Hung. 102(2):143-50. 36. Lopatina EV, Kipenko AV, Penniyaynen VA, Pasatetskaya NA, Djuric D, Krylov BV. (2015) Organotypic tissue culture investigation of homocysteine thiolactone cardiotoxic effect. Acta Physiol Hung. 102(2):137-42. 37. Paspalj D, Nikic P, Savic M, Djuric D, Simanic I, Zivkovic V, Jeremic N, Srejovic I, Jakovljevic V. (2015) Redox status in acute ischemic stroke: correlation with clinical outcome. Mol Cell Biochem 406(1-2):75-81. 38. Stojanović M, Šćepanović Lj, Hrnčić D, Rašić-Marković A, Djurić D, Stanojlović O. (2015) Multidisciplinary approach to nitric oxide signaling: focus on gastrointestinal and central nervous system. Vojnosanit Pregl 72 (7): 619-624. 39. Banach M, Rizzo M, Toth PP, Farnier M, Davidson MH, Al-Rasadi K, Aronow WS, Athyros V, Djuric DM, Ezhov MV, Greenfield RS, Hovingh GK, Kostner K, Serban C, Lighezan D, Fras Z, Moriarty PM, Muntner P, Goudev A, Ceska R, Nicholls SJ, Broncel M, Nikolic D, Pella D, Puri R, Rysz J, Wong ND, Bajnok L, Jones SR, Ray KK, Mikhailidis DP. (2015) Statin intolerance - an attempt at a unified definition. Position paper from an International Lipid Expert Panel. Expert Opin. Drug Saf. 14(6):935-55. (The article has been co-published with permission in Expert Opinion Drug Safety and Archives of Medical Science). 40. Banach M, Rizzo M, Toth PP, Farnier M, Davidson MH, Al-Rasadi K, Aronow WS, Athyros V, Djuric DM, Ezhov MV, Greenfield RS, Hovingh GK, Kostner K, Serban C, Lighezan D, Fras Z, Moriarty PM, Muntner P, Goudev A, Ceska R, Nicholls SJ, Broncel M, Nikolic D, Pella D, Puri R, Rysz J, Wong ND, Bajnok L, Jones SR, Ray KK, Mikhailidis DP. (2015) Statin intolerance - an attempt at a unified definition. Position paper from an International Lipid Expert Panel. Arch Med Sci 16;11(1):1-23. (The article has been co-published with permission in Archives of Medical Science and Expert Opinion Drug Safety). 41. 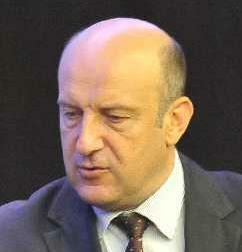 Čolović MB, Vasić VM, Avramović NS, Gajić MM, Djurić DM, Krstić DZ (2015). In vitro evaluation of neurotoxicity potential and oxidative stress responses of diazinon and its degradation products in rat brain synaptosomes. Toxicol Lett 17; 233(1): 29-37. 42. Jevđević M, Jovanović M, Jeremić N, Canković M, Jeremić J, Živković V, Srejović I, Đurić D, Jakovljević V (2015). Acute effects of nandrolone decanoate on oxidative stress in isolated rat heart. Archives of Biological Sciences, 67 (1): 331-337. 43. Srejovic I, Jakovljevic V, Zivkovic V, Barudzic N, Radovanovic A, Stanojlovic O, Djuric DM (2015). The effects of the modulation of NMDA receptors by homocysteine thiolactone and dizocilpine on cardiodynamics and oxidative stress in isolated rat heart. Mol Cell Biochem 401(1-2):97-105. 44. Radenković M, Djurić D, Janković R, Prostran M (2014). The analysis of transduction mechanisms associated with an acute action of homocysteine on isolated rat femoral artery. Acta Physiol Hung 101(4):448-60. 45. Hrnčić D, Rašić-Marković A, Stojković T, Velimirović M, Puškaš N, Obrenović R, Macut D, Sušić V, Jakovljević V, Djuric D, Petronijević N, Stanojlović O (2014) Hyperhomocysteinemia induced by methionine dietary nutritional overload modulates acetylcholinesterase activity in the rat brain. Mol Cell Biochem 396(1-2):99-105. 46. Raicevic S, Eventov-Friedman S, Bolevich S, Selakovic D, Joksimovic J, Djuric J, Globarevic-Vukcevic G, Djuric D, Jakovljevic V (2014). Correlation between oxidative stress and G6PD activity in neonatal jaundice. Mol Cell Biochem 395(1-2):273-9. 47. Veselinovic M, Barudzic N, Vuletic M, Zivkovic V, Tomic-Lucic A, Djuric D, Jakovljevic V (2014). Oxidative stress in rheumatoid arthritis patients: relationship to diseases activity. Mol Cell Biochem 391 (1-2):225-32. 48. Hrncic D, Rasic-Markovic A, Macut D, Susic V, Djuric D, Stanojlovic O. (2014) Homocysteine thiolactone-induced seizures in adult rats are aggravated by inhibition of inducible nitric oxide synthase. Hum Exp Toxicol 33(5):496-503. 49. Hrncic D, Rasic-Markovic A, Lekovic J, Krstic D, Colovic M, Macut D, Susic V, Djuric D, Stanojlovic O. (2014) Exercise decreases susceptibility to homocysteine seizures: the role of oxidative stress. Int J Sports Med 35(7):544-50. 50. Aleksic D, Djokic D, Golubicic I, Jakovljevic V, Djuric D. (2013) The importance of the blood levels of homocysteine, folic acid and vitamin B12 in children with malignant diseases. J BUON. 18(4):1019-25. 51. Zivkovic V, Jakovljevic V, Pechanova O, Srejovic I, Joksimovic J, Selakovic D, Barudzic N, Djuric D. (2013) Effects of DL-homocysteine thiolactone on cardiac contractility, coronary flow, and oxidative stress markers in the isolated rat heart: the role of different gasotransmitters. BioMed Research International, Hindawi Publishing Corporation, Volume 2013, Article ID 318471, 9 pages http://dx.doi.org/10.1155/2013/318471. 52. Stojanović M, Šćepanović Lj, Mitrović D, Šćepanović V, Stojanović T, Stojković M, Ilić S, Đurić D. (2013) Rat duodenal motility in vitro: procinetic effects of D,L-homocysteine thiolactone and modulation of nitric oxide mediated inhibition. Arch Biol Sci 65(4): 1323-1330. 53. Barudzic N, Turjacanin-Pantelic D, Zivkovic V I, Selakovic D, Srejovic I, Joksimovic J, Djuric DM, Jakovljevic VLj. (2013) The effects of cyclooxygenase and nitric oxide synthase inhibition on oxidative stress in isolated rat heart. Molecular and Cellular Biochemistry 381(1-2):301-311. 54. Zivkovic V, Djuric D, Turjacanin-Pantelic D, Marinkovic Z, Stefanovic D, Srejovic I, Jakovljevic V. (2013) The effects of cyclooxygenase and nitric oxide synthase inhibition on cardiodynamic parameters and coronary flow in isolated rat hearts. Exp Clin Cardiol 18(2):e102-10. 55. Hrncic D, Rasic-Markovic A, Bjekic-Macut J, Susic V, Djuric D, Stanojlovic O. (2013) Paradoxical sleep deprivation potentiates epilepsy induced by homocysteine thiolactone in adult rats. Exp Biol Med (Maywood) 238(1):77-83. 56. Zivkovic V, Lazarevic P, Djuric D, Cubrilo D, Macura M, Vuletic M, Barudzic N, Nesic M, Jakovljevic V. (2013) Alteration in basal redox state of young male soccer players after a six-month training programme. Acta Physiol Hung 100(1):64-76. 57. Djordjevic DZ, Cubrilo DG, Puzovic VS, Vuletic MS, Zivkovic VI, Barudzic NS, Radovanovic DS, Djuric DM, Jakovljevic VLj. (2012) Changes in athlete's redox state induced by habitual and unaccustomed exercise. Oxid Med Cell Longev 2012:805850. doi: 10.1155/2012/805850. 58. Veselinovic M, Jakovljevic V, Jurisic-Skevin A, Toncev S, Djuric DM. (2012) Carotid enlargement and serum levels of von Willebrand factor in rheumatoid arthritis: a follow-up study. Clin Rheumatol 31(12):1727-32. 59. Zivkovic V, Jakovljevic V, Djordjevic D, Vuletic M, Barudzic N, Djuric D. (2012) The effects of homocysteine-related compounds on cardiac contractility, coronary flow, and oxidative stress markers in isolated rat heart. Mol Cell Biochem 370(1-2):59-67. 60. Veselinovic M, Jakovljevic V, Jurisic-Skevin A, Toncev S, Djuric DM. (2012) Carotid artery intima-media thickness and brachial artery flow-mediated vasodilatation in patients with rheumatoid arthritis. Vasa 41(5):343-51. 61. Hrnčić D, Rašić-Marković D, Bjekić-Macut J, Šušić V, Mladenović D, Djuric D, Stanojlovic O. (2012) Gaseous neurotransmitter nitric oxide: its role in experimental models of epilepsy. Arch Biol Sci (Belgrade) 64 (3): 1207-1216. 62. Mladenović D, Radosavljević T, Hrnčić D, Rašić-Marković A, Puškaš N, Maksić N, Djuric D, Stanojlović O. Behavioral and electroencephalographic manifestations of thioacetamide-induced encephalopathy in rats. Can J Physiol Pharmacol. 2012; 90(9):1219-27. 63. Djordjevic DZ, Cubrilo DG, Barudyic NS, Vuletic MS, Zivkovic VI, Nesic M, Radovanovic D, Djuric DM, Jakovljevic VLj. (2012) Comparison of blood pro/antioxidant levels before and after acute exercise in athletes and non-athletes. Gen Physiol Biophys 31: 211-219. 64. Djoric P, Zeleskov-Djoric J, Stanisavljevic DM, Markovic ZD, Zivkovic V, Vuletic M, Djuric D, Jakovljevic V. (2012) Distal Venous Arterialization and Reperfusion Injury: Focus on Oxidative Status. Eur Surg Res 7; 48(4):200-207. 65. Hrncic D, Rasic-Markovic A, Krstic D, Macut D, Susic V, Djuric D, Stanojlovic O. (2012) Inhibition of the neuronal nitric oxide synthase potentiates homocysteine thiolactone- induced seizures in adult rats. Med Chem 1;8(1):59-64. 66. Peric T, Lj Jakovljevic V, Zivkovic V, Krkeljic J, Petrovic ZD, Simijonovic D, Novokmet S, Djuric DM, Jankovic SM. (2012) Toxic effects of palladium compounds on the isolated rat heart. Med Chem 1;8(1):9-13. 67. Vujanac A, Jakovljevic V, Djordjevic D, Zivkovic V, Stojkovic M, Celikovic D, Andjelkovic N, Skevin AJ, Djuric D. (2012) Nitroglycerine effects on portal vein mechanics and oxidative stress in portal hypertension. World J Gastroenterol 28;18(4):331-9. 68. Pesic S, Jakovljevic V, Djordjevic D, Cubrilo D, Zivkovic V, Jorga V, Mujovic V, Djuric D, Stojimirovic B. (2012) Exercise-induced changes in redox status of elite karate athletes. Chin J Physiol 29;55(1):8-15. 69. Medjedovic S, Jakovljevic V, Djordjevic D, Randjelovic D, Koprivica Z, Petronijevic N, Tasic N, Pavlovic M, Vucinic Z, Sundric Z, Djuric DM. (2012) Prognostic value of N-terminal pro-B-type natriuretic peptide in patients with non-ST-segment elevation acute coronary syndromes. African Journal of Pharmacy and Pharmacology, vol. 6(5): 283-293. 70. Marković AR, Hrnčić D, Macut D, Stanojlović O, Djuric D. (2011) Anticonvulsive effect of folic acid in homocysteine thiolactone-induced seizures. Cell Mol Neurobiol 31(8):1221-8. 71. Jakovljevic VLj, Djordjevic DZ, Djuric DM. (2011) The effects of vitamin C and nitric oxide synthase inhibition on coronary flow and oxidative stress markers in isolated rat heart. Gen Physiol Biophys 30(3):293-300. 72. Koprivica Z, Djordjevic D, Vuletic M, Zivkovic V, Barudzic N, Andjelkovic N, Djuric D, Iric-Cupic V, Krkeljic J, Jakovljevic V. (2011) Von Willebrand factor and oxidative stress parameters in acute coronary syndromes. Oxid Med Cell Longev 2011:918312. 73. Cubrilo D, Djordjevic D, Zivkovic V, Djuric D, Blagojevic D, Spasic M, Jakovljevic V. (2011) Oxidative stress and nitrite dynamics under maximal load in elite athletes: relation to sport type. Mol Cell Biochem 355(1-2):273-9. 74. Gostiljac D, Dorđević PB, Djurić D, Peruničić J, Lasica R, Colak E, Canovic F, Srećković VD, Ilić M, Obrenović R. (2011) The importance of defining serum MMP-9 concentration in diabetics as an early marker of the rupture of atheromatous plaque in acute coronary syndrome. Acta Physiol Hung 98(1):91-7. 75. Milovanovic B, Trifunovic D, Djuric D. (2011) Autonomic nervous system adjustment (ANSA) in patients with hypertension treated with enalapril. Acta Physiol Hung. 98(1):71-84. 76. Rašić-Marković A, Hrnčić D, Djurić D, Macut D, Lončar-Stevanović H, Stanojlović O. (2011) The effect of N-methyl-D-aspartate receptor antagonists on D,L-homocysteine thiolactone induced seizures in adult rats. Acta Physiol Hung 98(1):17-26. 77. Jakovljević VLj, Zlatković M, Cubrilo D, Pantić I, Djurić DM. (2011) The effects of progressive exercise on cardiovascular function in elite athletes: focus on oxidative stress. Acta Physiol Hung 98(1):51-8. 78. Djordjevic D, Cubrilo D, Macura M, Barudzic N, Djuric D, Jakovljevic V. (2011) The influence of training status on oxidative stress in young male handball players. Mol Cell Biochem 351(1-2):251-9. 79. Hrnčić D, Rašić-Marković A, Djuric D, Sušić V, Stanojlović O. (2011) The role of nitric oxide in convulsions induced by lindane in rats. Food Chem Toxicol 49(4):947-54. 80. Hrncić D, Rasić-Marković A, Krstić D, Macut D, Djuric D, Stanojlović O. (2010) The role of nitric oxide in homocysteine thiolactone-induced seizures in adult rats. Cell Mol Neurobiol 30(2):219-31. 81. Mladenović D, Djuric D, Petronijević N, Radosavljević T, Radonjić N, Matić D, Hrncić D, Rasić-Marković A, Vucević D, Dekanski D, Stanojlović O. (2010) The correlation between lipid peroxidation in different brain regions and the severity of lindane-induced seizures in rats. Mol Cell Biochem 333(1-2):243-50. 82. Savic M, Jakovljevic V, Nikolic D, Djuric D. (2009) Evaluation of cerebrovascular insult types and their localization in patients due to the presence of elevated body temperature. Bratisl Lek Listy 110(6):332-4. 83. Rasić-Marković A, Stanojlović O, Hrncić D, Krstić D, Colović M, Susić V, Radosavljević T, Djuric D. (2009) The activity of erythrocyte and brain Na+/K+ and Mg2+-ATPases in rats subjected to acute homocysteine and homocysteine thiolactone administration. Mol Cell Biochem 327(1-2):39-45. 84. Radosavljević T, Mladenović D, Jakovljević V, Vucević D, Rasć-Marković A, Hrncić D, Djuric D, Stanojlović O. (2009) Oxidative stress in liver and red blood cells in acute lindane toxicity in rats. Hum Exp Toxicol 28(12):747-57. 85. Hrncić D, Rasić-Marković A, Susić V, Djurić D, Stanojlović O. (2009) Influence of NR2B-selective NMDA antagonist on lindane-induced seizures in rats. Pharmacology 84(4):234-9. 86. Milovanovic B, Milinic N, Trifunovic D, Krotin M, Filipovic B, Bisenic V, Djuric D. (2009) Autonomic dysfunction in alcoholic cirrhosis and its relation to sudden cardiac death risk predictors. Gen Physiol Biophys 28 Spec No:251-61. 87. Rasić-Milutinović Z, Perunicić-Peković G, Ristić-Medić D, Popović T, Glibetić M, Djurić DM. (2009) Insulin resistance and chronic inflammation are associated with muscle wasting in end-stage renal disease patients on hemodialysis. Gen Physiol Biophys 28 Spec No:184-9. 88. Novokmet S, Jakovljevic VLj, Jankovic S, Davidovic G, Andjelkovic N, Milanovic Z, Djuric DM. (2009) Human platelets perfusion through isolated guinea-pig heart: the effects on coronary flow and oxidative stress markers. Gen Physiol Biophys 28 Spec No:98-104. 89. Stevanovic D, Zhang D, Blumenstein A, Djuric D, Heinle H. (2009) Effects of hydroperoxides on contractile reactivity and free radical production of porcine brain arteries. Gen Physiol Biophys 28 Spec No:93-7. 90. Rasić-Marković A, Djuric D, Hrncić D, Loncar-Stevanović H, Vucević D, Mladenović D, Brkić P, Djuro M, Stanojević I, Stanojlović O. (2009) High dose of ethanol decreases total spectral power density in seizures induced by D,L-homocysteine thiolactone in adult rats. Gen Physiol Biophys 28 Spec No:25-32. 91. Vucević D, Petronijević N, Radonjić N, Rasić-Marković A, Mladenović D, Radosavljević T, Hrncić D, Djurić D, Susić V, Djuro M, Stanojlović O. (2009) Acetylcholinesterase as a potential target of acute neurotoxic effects of lindane in rats. Gen Physiol Biophys 28 Spec No:18-24. 92. Stanojlović O, Rasić-Marković A, Hrncić D, Susić V, Macut D, Radosavljević T, Djuric D. (2009) Two types of seizures in homocysteine thiolactone-treated adult rats, behavioral and electroencephalographic study. Cell Mol Neurobiol 29(3):329-39. 93. Vucević D, Hrncić D, Radosavljević T, Mladenović D, Rasić-Marković A, Loncar-Stevanović H, Djurić D, Macut D, Susić V, Stanojlović O. (2008) Correlation between electrocorticographic and motor phenomena in lindane-induced experimental epilepsy in rats. Can J Physiol Pharmacol 86(4):173-9. 94. Mladenović D, Hrncić D, Radosavljević T, Vucević D, Djurić D, Rasić-Marković A, Macut D, Susić V, Sćepanović L, Stanojlović O. (2008) Dose-dependent anticonvulsive effect of ethanol on lindane-induced seizures in rats. Can J Physiol Pharmacol 86(4):148-52. 95. Radosavljević T, Mladenović D, Vucević D, Petrović J, Hrncić D, Djuric D, Loncar-Stevanović H, Stanojlović O. (2008) Effect of acute lindane and alcohol intoxication on serum concentration of enzymes and fatty acids in rats. Food Chem Toxicol 46(5):1739-43. 96. Rasić-Marković A, Krstić D, Vujović Z, Jakovljevic V, Stanojlović O, Hrncić D, Djurić D, Loncar-Stevanović H. (2008) Modulations of rabbit erythrocyte ATPase activities induced by in vitro and in vivo exposure to ethanol. Mol Cell Biochem 308(1-2):111-6. 97. Krstić D, Colović M, Krinulović K, Djurić D, Vasić V. (2007) Inhibition of AChE by single and simultaneous exposure to malathion and its degradation products. Gen Physiol Biophys 26(4):247-53. 98. Mladenović D, Hrncić D, Vucević D, Radosavljević T, Loncar-Stevanović H, Petrović J, Susic V, Djuric D, Stanojlović O. (2007) Ethanol suppressed seizures in lindane-treated rats. Electroencephalographic and behavioral studies. J Physiol Pharmacol 58(4):641-56. 99. Hrncić D, Vucević D, Rasić A, Radosavljević T, Mladenović D, Susić V, Djurić D, Stanojlović O. (2007) Moderate body hypothermia alleviates behavioral and EEG manifestations of audiogenic seizures in metaphit-treated rats. Can J Physiol Pharmacol 85(10):1032-7. 100. Stanojlović O, Hrncić D, Rasić A, Loncar-Stevanović H, Djuric D, Susić V. (2007) Interaction of delta sleep-inducing peptide and valproate on metaphit audiogenic seizure model in rats. Cell Mol Neurobiol 27(7):923-32. 101. Djuric D, Vusanovic A, Jakovljevic V. (2007) The effects of folic acid and nitric oxide synthase inhibition on coronary flow and oxidative stress markers in isolated rat heart. Molecular and Cellular Biochemistry 300: 177-183. 102. Jakovljevic VLj, Djuric DM. (2005) The effects of nitric oxide synthase - versus lipoxygenase inhibition on coronary flow and nitrite outflow in isolated rat heart. General Physiology and Biophysics 24: 199-207. 103. Djuric D, Mitrovic V, Jakovljevic V. (2002) The effects of calcium channel antagonists on coronary nitrite in isolated rat heart. Arzneimittel-Forschung-Drug Research 52: 365-370. 104. Mitrovic V, Djuric D, Petkovic D, Hamm C. (2002) Evaluation of plasma total homocysteine in patients with angiographically confirmed coronary atherosclerosis: possible impact on therapy and prognosis. Perfusion Verlag 15: 10-19. 105. Djurich D, Stefanovich E, Tasich N, Yakovlevich V, Kanyukh V, Boijich M. (2000) The use of brachial artery reactivity tests for assessment of endothelial dysfunction in the process of aging. Kardiologiya 11: 24-27. 106. Jakovljevic VL, Kostic MM, Mujovic VM, Bojic M, Nedeljkovic I, Nedeljkovic TI., Djuric DM. (1999) Interaction between L-arginine, NO system and cyclooxygenase metabolic products of arachidonic acid in coronary autoregulation. Journal of Physiology and Pharmacology 50: 63-74. 107. Djuric D, Wisotzki R, Mitrovic V. (1999) Rolle von Homocystein bei Atherosklerose-Ist Homocystein ein neuer kardiovaskularer Risikofaktor? Herz Kreislauf 31: 485-490. 108. Djuric D, Popovic Z, Petrovic J, Bojic M. (1999) Age-related progressive brachial artery endothelial dysfunction precedes the changed carotid and left ventricular geometry in healthy humans. Angiology 50: 555-561. 109. Plecas B, Glavaski A, Savic V, Hristic M, Djuric D, Solarovic T. (1997) Effects of ethane dimethanesulfonate on the structure of adult male rat adrenal cortex. Pharmacological Research 35: 541-546. 110. Djuric D, Nesic M, Andjelkovic I. (1996) Endothelium-dependent relaxation of rat aorta to a histamine H3-agonist is reduced by inhibitors of nitric oxide synthase, guanylate cyclase and Na+,K+-ATP-ase. Mediators of Inflammation 5: 69-74. 111. Djuric D, Andjelkovic I. (1995) The evidence for histamine H3 receptor-mediated endothelium-dependent relaxation in isolated rat aorta. Mediators of Inflammation 4: 217-221. 112. Djuric MD, Andjelkovic ZI, Rosic A.M. (1993) Effects of methylated derivatives of histamine on the isolated guinea pig aorta. Acta Veterinaria 43: 287-294. 113. Rosic M, Collis CS, Anjelkovic IZ, Segal MB, Djuric D, Zlokovic BV. (1991) The effects of (R) alpha-methyl histamine on the isolated guinea pig aorta. Agents Actions Suppl 33: 283-287. 114. Djuric D, Jovanovic T, Andjelkovic I. (1989) Does hyperthyroidism change the reactivity of canine endothelium-intact pulmonary artery strips to catecholamines and prostaglandins? Iugoslavica Physiologica et Pharmacologica Acta 25: 249-253. 115. Jovanovic T, Djuric D, Stevanovic H. (1988) The influence of hyperthyroidism on pulmonary and systemic venous smooth muscle reactivity. Periodicum Biologorum 90: 363-366. EDITORIALS AND REPORTS PUBLISHED IN JOURNALS INDEXED IN CURRENT CONTENTS, SCIENCE CITATION INDEX OR SCIENCE CITATION INDEX EXPANDED 116. Djuric DM. Editorial: Sulfur-Containing Amino Acids in Cardiovascular and Neural Physiology, Pathophysiology and Pharmacology: An Overview and Update. Curr Med Chem. 2018 Jan 30;25(3):322-323. doi: 10.2174/092986732503180130142900. 117. Djuric D, Dhalla N, Jakovljevic V. (2016) Preface. Can J Physiol Pharmacol. 2016 Oct;94(10):v. 118. Djuric DM. Third Congress of Physiological Sciences of Serbia with international participation (October 29-31, 2014, Belgrade, Serbia) (Report). Acta Physiol Hung. 2015 Jun;102(2):123-4. 119. Djuric DM. (2012) Editorial: preclinical testing of active substances and cancer research. Med Chem 1;8(1):1. 120. Djuric D. (2010) Second Congress of Physiological Sciences of Serbia with international participation. Acta Physiol Hung 97(1):57-8. 121. Djurić DM. (2009) Professor Richard Burian (1871-1954), founder of the Institute of Medical Physiology, School of Medicine, University of Belgrade. Gen Physiol Biophys 28 Spec No:5-8. 122. Djurić DM. (2008) Preface. Bridging the gap: where progress in cardiovascular and neurophysiologic research meet. Can J Physiol Pharmacol 86(4):138.